ActiveSPLIT.com » My Garmin Forerunner 305 doesn’t power on – It’s just DEAD! The Solutions. My Garmin Forerunner 305 doesn’t power on – It’s just DEAD! The Solutions. If you experienced the same problem as I did and your Garmin Forerunner 305 just doesn’t turn on then try one of the steps i describe below to bring it back to life. Beside not responding to any buttons the computer doesnt recognize it either when connected through the USB interface. I’ll present you with a few solutions I found surfing the web that might work for you. - Dowload the Firmware from Garmin’s website. I’ll attach some versions to this post in case Garmin doesnt provide them any more. 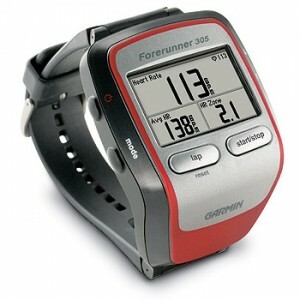 - When the update is finished the Forerunner 305 should power on runing the Firmware 2.80. I am not a proud owner of a garmin forerunner 305.I did the soft reset. ( mode+lap) I did the hard reset. (mode+power+lap). I did the software update to version 2.9.0. I have to soft reset every time before it comes on. If it comes on it does not display the route and elevation when downloaded to my PC. I have sent this unit n for repairs to Avnic Trading in SA and will see if they can back up their product. Why does Garmin sell something that so many people have the same problems with?? This unit just demotivates me from training. You try to record your toughest routes and then there is no info available afterwards. Hi Until today I was extremly happy with my Garmin 305. But then for some unknown reason it just when dead. The soft reset fixed it right away so thank you for the guide above. Se you all out there on the roads. Thx for the comment. Yea, Please give us feedback about Garmin’s solution to this problem. Soft reset worked like a charm for me. Many thanks for this tip. Have had my 305 for over 2 years now & it just went dead on me today after a run. The soft reset worked perfectly – I was beginning to worry that I’d need to send it off to Garmin for repair/new battery which is what other people were suggesting so such a relief to find your advice. Thanks! Thank you… finally working after every attempt under the sun. Third time this has happened and every time I have needed a different solution. Not too happy with Garmin about this! Thank you. Thank you. Thank you. I use my Garmin just about everyday for running and mountain biking. I tried to turn it on this morning for my usual run but it just wouldn’t do anything. I was so bummed! I took your advice and tried the soft reset and it worked. I’m so happy I feel like running again. Another save!! Fixed my problem without new battery, sending back to Garmin, or any cuss words. Thanks. Thanks a million! Did the downgrade/upgrade. Worked like a charm. A friend of mine gave me his old Forerunner 305 a few months ago. I loved it!! Everything was working great until this morning . . . it was dead . . . I was devastated. Found this site and tried the soft reset . . . . worked like a charm. My garmin would not connect after a very hot and humid (sweaty) run. After waiting 24 hours, it connected just fine with no other intervention. Just thought I would offer that heat and humidity have a definite effect on these devices. Had the same problem. The 305 would only switch on if I did a soft reset first. Then it would not come on again. Hard reset did not work, but firmware downgrade/upgrade did the trick. Thanks a lot! Perfect! Solved my problem with the GF305 immediately. It suddenly died during a rainy run; and after this it would freeze in the interval-screen with a continous beep. I tried soft/hard-reset, uploading the original firmware and deleting all history to no avail. But doing the downgrade/upgrade fixed it! Do you all know a similar solution for a garmin forerunner 405 which is dead. The resets have not worked. Nothing works. I have tried hard and soft reset. Battery is fully charged and device does not work. It will not connect to my computer, it will turn on and sometimes buzz continuously or it just stays frozen on one screen. None of the buttons work and it just randomly turns off. I just bought this yesterday and I will definitely be taking it back. We should not have problems like this with today’s technology especially for this price. It seems like everyone is having problems with this watch. Even when they are able to fix the problems, it erases all your data. I would not want my watch to constantly malfunction and in order to fix the problem erase everything. The purpose of the watch is to track your progress. Thanks a lot! My 305 had the same problem yesterday. Sending it back to Garmin for repairy will cost more than HK$1,000. With your tips of soft reset, the problem has been fixed and it also saves both money and time. Many many thanks!!!!!! I had charged my 305 overnight. All appeared normal with the ‘Charging in Progress’ displayed. When I took it off the cradle the next morning, no resposne. The soft reboot worked for mine. Thanks very much. Thanks for the great advice! the soft reboot definitely worked. I must have drained the battery beyond the ability to recover. I did the soft reboot while attached to the charger. Thank you sooooo much. I was on my way to BestBuy to purchase a new one. I did the re-set as described above, and turned on the power button. To my surprise, the history WASNT erased. Yay! Hard reset worked. I wish there was a way to prevent this from happening though! Forerunner 305. On cradle, turned off, the text “recharging complete” was “floating” across screen. Once I took it off cradle, would not power on. But, the soft reset (mode + reset) worked for me. Then, power on! Thank you! Fixed in less than 60 seconds. Thank you…. I almost gave up hope. But this was the solution that worked! The soft reset worked for me, thank you for the solution! Thanks! The Hard Reset worked for me. I appreciate the help. Thanks for this post – just fixed my 305, after 2 hours of frustrating trawling. Thanks! I was going to return the Forerunner to the store and see if they could help out but searched the web found this site and the soft reset worked. I did try to do it but with no luck. I did downgrade as you tells to 2.8 and upgrade to 2.9 and every time i did take off the cradle the unit powers off at the moment…. Thanks for posts like this, helps to try find a solution. Thank you! Thank you! Thank you! The soft reset worked for me! I almost skipped to the hard reset before I realized that I was supposed to try to turn it on after doing the soft reset (there is no indication that the reset is “complete”). Hi, My 1.5-year-old 305 was charged, but I’ve put it in the USB charger to just get some extra charge before a race. It showed “charging in progress” as usual. Then when I took it off the cradle the device was completely dead. I used the soft reset as advised here, and it worked well. All my data stayed in. Thank you so much! Hi. Glad it heIped. Files attached to the blogpost are official Garmin files. I attached them in case Garmin decides to put the old version off from their website. Cheers. Thanks a ton for the help. The soft reset fixed my garmin. Hi 2.80 and 2.90 are from Garmin’s website. I can’t remember where I downloaded 2.70. Have had my garmin 305 for about 6 years. it died. I have done the soft reset in the past and it worked. Now, nothing works. None of the suggestions here have worked. I think it’s time to buy a new one :( I love my garmin!! Thanks so much for this fix! You spared me a battery replacement at minimum and a possible watch replacement. I really appreciate the sharing. Firmware downgrade/upgrade (2.9 > 2.8 > 2.9) worked also for my 3 years old 305. Thank you very much for the solution! Thank you! My 30 month old GF305 just stopped working after a particularly long week of very hot/humid outdoor life. The soft reset worked! I am especially grateful as I am marking and leading some trail runs in two weeks and I was NOT looking forward to buying another GF before that. I’ll keep the hard-reset and software ug/dg info on hand in case I need it. Wow, thanks, the soft reset worked and all my history is still saved!!! I’ll have to tell my friend who has the same watch. His stopped working for 2 months until it magically turned back on last week. He says it still refuses to work some days, but hopefully when we do the soft reset on his watch, it’ll work. By the way, him and I call this GPS death the “GPS DISEASE”!!! The cure has been found! Hurrah! Hurrah! Thank you, sir. First time I’ve had this problem and of course I realized it right before my long 14mi. run. Thought it was a dead battery. After I got back, the soft reset you described worked for me! Thank you! I have a Forerunner 205 (which is essentially the same as the 305 but without an HRM) The watch started acting weird and wouldn’t reset nor turn on properly. After fiddling around with the buttons I could get it to turn on, but after turning it off, it was back to dead again. After following the downgrade/upgrade instructions, it worked. -download the two firmware packages and unzip them first before connecting the device to the computer. I had to run each update twice. The first time through each update resulted in an error. I simply restarted the process and the second time it worked. Again, thanks for this comment. I borrowed the forerunner from my uncle and it suddenly went dead after using it couple of times. I thought it was my fault until I found this site and the soft reset solved my problem !! thanks very much. Thank you so much! The soft reset was exactly what I needed. Not sure what happened…but glad it was such an easy fix. THANK YOU! Thought my beloved watch was toast but the soft reset brought it back. Guess i’m one of the garmin forerunner 305 whose watch doesnt react to the soft restet, hard reset, and software downgrade/upgrade. Think its worth sending watch in for repair? Had to break during my busy marathon season. Already lost the mode and the enter button since they fell off during the past few runs I’ve had. This blows big time. The soft reset worked for my Garmin 305. Thank you so much! I was about to consider it broken forever until I came across your blog. After trying all of the resets multiple times with little success – the software downgrade worked (2.90 –> 2.80)!! It’s like I having a new watch – THANK YOU!! I was panicking when my Garmin 305 just died. I’m in training for the NWM Half in April. soft reset worked. Thanks. I was thrilled to try your first suggestion on my 305 and God Bless You it worked!!!!!!!! Have a 305 and have been having problems with it. when I turn it on and it searches for the satalite I get bar graphs and other strange graphics appearing on the screen. once it finds the satalite the graphs and other images stop appearing and the display comes up, however after a few seconds the display will flicker and switch between display fields. If I am fortunate enough to get into a menu before this happens then the unit will scroll down the menu items. In all cases the buttons become non-responsive and I have to soft reset the unit. I have tried soft reset, hard reset and firmware up date and now the downgrade-upgrade but nothing sems to have solved the issue. Anyone experiance this problem and how did they/do you fix it? Thanks for the advice – soft reset worked for me!!! Before dying, I was also having problems in the charging cradle – it would not charge unless I held the 305 unit down – but the soft reset has seemed to fix this too. Thanks again. 12) Garmin springs into life! Woo hoo. Hi!, I’ve tried the soft reset, hard reset and downgrade/upgrade but it didn’t work. My garmin 305 turns on when in its craddle but doesnt when its not. @Luis: The problem might be with the battery. The soft reset worked! Thanks so much for the information! I love my Garmin 305 and today when I went to a race it was dead. I have been so sad all day as the 305 has been discontinued. Tried your soft reset and it looks like I am back in business. Thank you so much for posting this. I really, really, really appreciate your taking the time to do this. You have made my day! soft reset worked for me. thanks much. My 305 is at least 8 years old. I am happy it continues on doing all it does for me. Soft reset worked on the 205. Hopefully the 305 (which v strangely suffered the same symptoms of being dead on the same day as the 205??!!) will work too – gotta find it first though! The hard reset worked – without deleting the history – was ready to buy a new watch – thanks! The soft reset worked for me, thanks! Almost bought a new watch! Hey, thanks. Out of the blue my Forerunner 305 would not connect and sync with Training Center, and Garmin WebUpdater could not find the device. I did the soft reset and am back in business. Soft reset worked on my 305. Thanks. I am so relieved that I didn’t need to buy a new watch. Than, certify your device is workimg properly. If the equipment stills not working properly…..u have to buy a new GPS.